STEAMBOAT SPRINGS — As far as Adam Chadbourne knows, the Steamboat Springs Winter Sports Club Alpine program is undefeated when it comes to United States Ski and Snowboarding’s annual club of the year selections. Chadbourne has been the director for Steamboat’s Alpine program for two years now, and he learned this month the program was named the best Alpine club in the country for the second time in that span. That was one highlight for the club, which also had the country’s best ski jumping and Nordic combined program and top freestyle skier Jaelin Kauf. Such honors aren’t new to the Winter Sports Club. 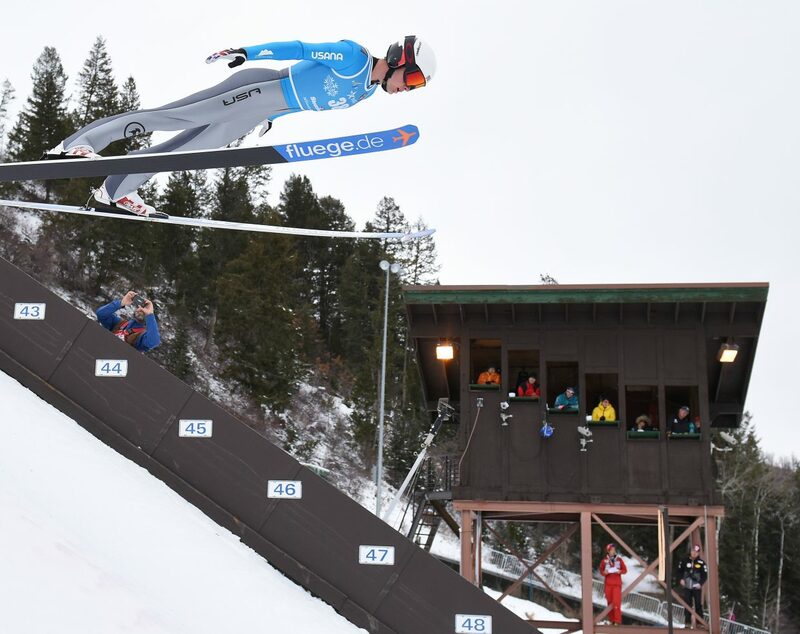 It’s the second year in a row for both the ski jumping and Nordic combined program and the Alpine program, the fourth overall, actually, for ski jumping and Nordic combined. Five of the 15 Olympians with Steamboat ties who competed at the 2018 Winter Olympics came through the Nordic combined and ski jumping side of the club. “So many things have to come together, so it’s a good tribute,” Wilson said. The freestyle program has won twice in 2011 and 2015; the snowboarding program five times in 2011, 2004, 2007, 2012 and 2017; and the cross-country program once in 2004. The club has been named the overall club of the year four times, as well, most recently last season. Still, Chadbourne said there is something unique about what’s brewing with his ski racers. A number of things go into selecting the winning club each season, from competitions a club played host to to its on-snow results. The Winter Sports Club had several big events on home snow this season, including the annual Holiday Classic, which has become a big event for young International Ski Federation-level skiers, the U14 regional championships and the NCAA Ski National Championships. The club had one member on the U.S. Ski Team this winter, Jett Seymour, who also doubled up as a freshman on the NCAA national champion University of Denver ski team. It hasn’t had a strong presence on the team in the last two decades, however, and hasn’t had an Alpine skier actually compete in the Olympics since 2002. A strong class of Steamboat skiers on the verge of breaking into the FIS ranks, with even more strong skiers coming up behind them at the U19 and U16 classes could change that. The training for those skiers hasn’t actually even stopped. They’ve been making weekend trips down to Winter Park and they’ll leave June 6, the day school lets out, for a two-week training camp at Mount Hood, Oregon before returning home to settle in for the summer’s strength and conditioning drills. On the individual level, Steamboat Springs skier Jaelin Kauf was named the Freestyle Athlete of the Year by U.S. Ski and Snowboarding. Kauf finished what was easily the best season of her career ranked No. 2 in the women’s freestyle skiing moguls World Cup race. She won three individual World Cup events and was on the podium in two more. Those results helped lift her to the U.S. Olympic Team and she competed at the 2018 Winter Olympics in Pyeongchang, South Korea. She placed seventh there. Ben Loomis, from Eau Claire, Wisconsin, was named the Nordic combined athlete of the year. Loomis hasn’t ever trained with Steamboat but has been a regular in town at summer events like the Fourth of July Nordic combined competition and other U.S. Ski Team training camps. He was the top U.S. finisher in all three of the Continental Cup Nordic combined events that took place last December in Steamboat and made the 2018 Olympic team, though his top result came with third- and fourth-place finishes in the Junior World Ski Championship races in February in Switzerland. Cross-country skier Jesse Diggins was selected for the Beck International Award. Mikaela Shiffrin was the Alpine athlete of the year, Tyler Walker the adaptive athlete of the year, Diggins the cross-country athlete of the year, David Wise the freeskiing athlete of the year, Kevin Bickner the ski jumping athlete of the year and Jamie Anderson the snowboarding athlete of the year. Alaska Pacific University Nordic Ski Center was selected as the cross-country club of the year. Winter Park Freestyle Program was the freestyle club of the year and Aspen Valley Ski & Snowboard Club was the club of the year in freeski and snowboard.